It was a Monday and I remember I was sitting in my advisor’s office chatting with him about where I was planning on applying for teaching jobs. I was finishing up my graduate degree in Adapted Physical Education at Ohio State and finding a job was on the horizon. I told him I wanted to move West to ski real slopes, paddle in the ocean and climb mountains instead of small hills. I was thinking Colorado, Wyoming or Montana. The next day my advisor called me into his office to tell me that someone from a small town in Oregon was looking for an Adapted PE Specialist and someone to run an outdoor program for people with disabilities. He handed me a piece of paper with a name and number on it and told me to call saying it sounded as though this was the perfect fit for me. I went back to my office and looked at a map ~ where exactly is Oregon? 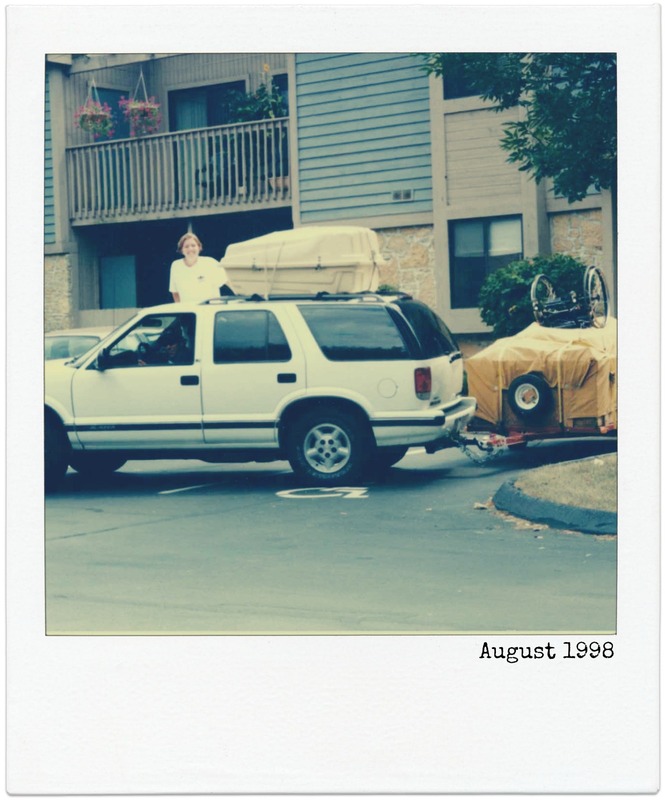 I called and 5 months later my car was packed and I was headed West to start an adventure of my own. For years, when talking about home, my mind would always go back to the house I grew up in and the small town in Ohio that shaped and molded me. I would think about the brick driveway upon which I rode my bike, wiffle ball games in the back yard with the neighborhood kids, the 18 ft christmas tree we decorated every year and of course my mom’s cooking. Yesterday, as Tom and I were traveling home from a visit with my family back in Ohio, I couldn’t help but realize that now when I think of home I think of my community in Oregon. Tom and I are fully aware of the gift we have been given in terms of our community. We will never take it for granted that we live in a truly special place and we know we are blessed to be surrounded by so many loving and caring souls. I’ve always known that it takes a village to raise a child but this past year I learned that it also takes a village to grieve and celebrate a child ~ in our case children. Our village was there for our girls before they went to Heaven and are definitely there now to celebrate them. When I moved to this community 16 years ago I knew it was a special place, it is now so much more than that ~ it’s my home! We are blessed that you are part of our community! Through your example of love and joy, we become better at loving one another and living with joy. I hope to see you again very soon. I love your writing Susan. And your strength inspires me. Thank you for taking something terrible and creating so much good from it. Thank you Cindy for your kind words. I feel the same way about your family. Love you guys! Welcome Home! You are so loved! stay the strong and amazing person you are and always remember your roots. Wow! How old were you then? Can’t imagine how hard that must have been for your parents. And how proud they must be now. I’m glad you have come to the realization that God put you in a special place and you know you are home! Sounds like the trip went pretty well.